I came across this Sarah Randell recipe for Strawberry Daiquiri Pavlova in the June issue of Sainsbury’s Magazine and being a huge fan of rum and pavlova knew I had to give this a go. Having always been daunted by making meringue I decided to bite the bullet a few weeks ago and I’m so glad I did. This dessert is what dreams are made of! 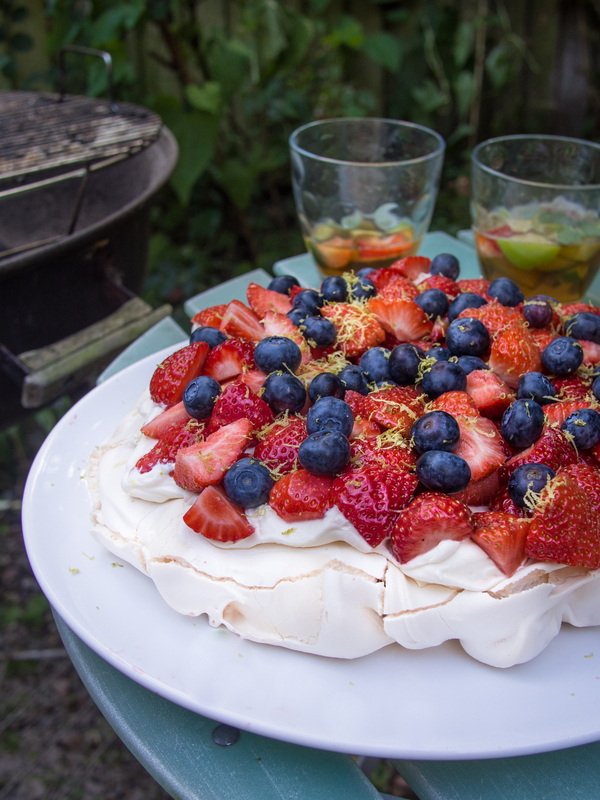 The addition of vinegar gives the meringue a cloud like centre and the lime juice and zest cut through the sweetness leaving you with a perfect boozy BBQ show stopper. And what’s better, you can make the meringue and store it in an airtight container for a few days before needed. My friend and awesome instagrammer Natalie hosted an Instagrammers London BBQ at the weekend so I took my chance to make this again and offered to bring along dessert. I can see this becoming a regular fixture in my baking repertoire so simple to make but so delicious. Pre heat the oven to 140c, fan 120c or gas mark 1. Draw a 22cm/9in circle onto the underside of a piece of baking paper and then place on a baking tray. In a large spotlessly clean bowl, whisk the egg whites until they form stiff peaks. Gradually add the sugar, whisking until glossy and no sugar granules remain then add the cornflour and vinegar. 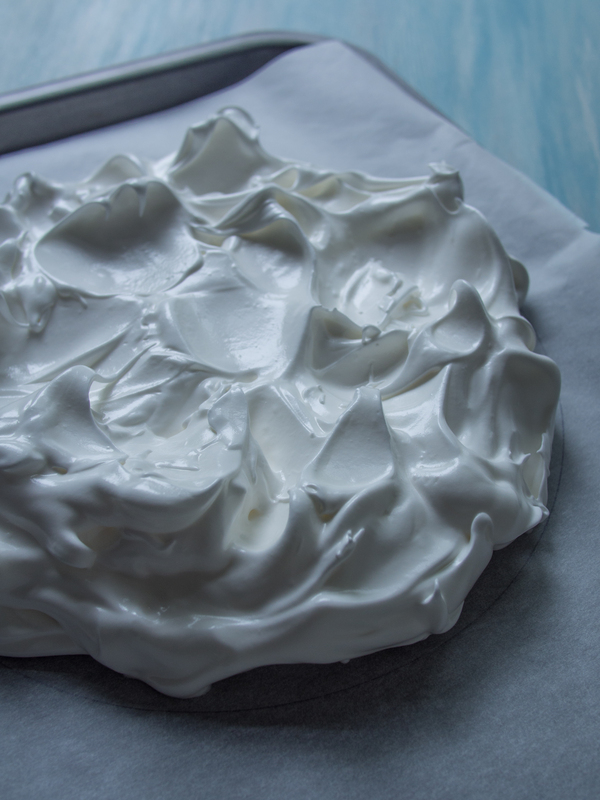 Pile the meringue on to a baking tray lined with baking paper using the circle as a guide and make peaks and swirls in the surface. Bake for 1 hour, then turn the oven off and leave the meringue inside until both the oven and meringue are completely cold. At this stage, you can store the meringue in an airtight container until you are ready to assemble it with the topping. Just before serving, whip the cream with the icing sugar, rum and lime juice until it forms soft peaks. Spread the cream over the meringue and scatter over the strawberries and then the blueberries and garnish with a few of sprinkles of lime zest.